What Happens with Early Termination of a Lease? 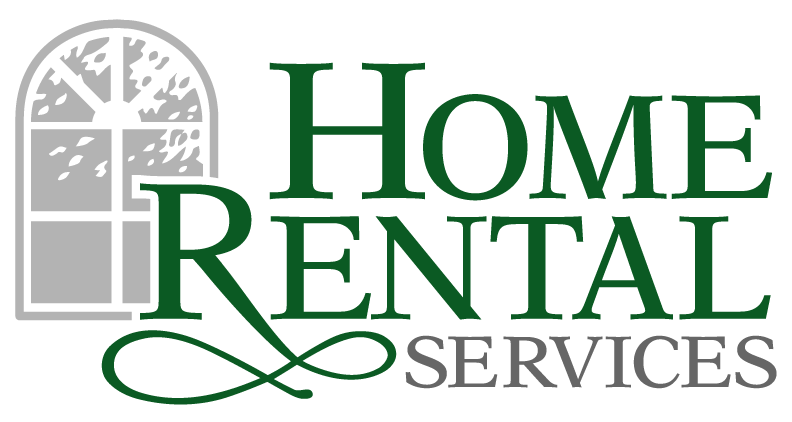 « Home Rental Services, Inc.
What Happens with Early Termination of a Lease? Great new job offer in New York, but what about my lease in Kansas City? Most leases in Kansas and Missouri are written for initial fixed terms, usually 12 months. Renewal periods are also usually written for a fixed number of months. During these fixed terms, the renter has agreed to remain in the property and pay rent through a certain date, and the landlord is obligated and required to allow the renter to remain for that period of time. The only exception is a month-to-month lease which can be terminated with a 30 day notice by either party. So what happens if it’s October, your lease doesn’t end until the following May 31st, but life circumstances are forcing an early departure from your Kansas City rental home? Perhaps you’ve lost your old job and already found a new one, but the new job requires relocation to another city? Sometimes tenants divorce and neither can afford the rent alone, so both have to move. Sometimes tenants are under no financial duress but elect to buy a new home and terminate early, and simply include the early termination costs in the overall financial decision to buy the new home. There are a number of life circumstances that can cause a tenant to contact us and ask “what happens if I can’t finish my lease term”? This is called Early Termination, whereby a renter simply moves out and stops paying rent. Called a “skip”, this results in legal action, damage to the renter’s credit report, and ultimately the account being placed for collection. In other words, the worst financial and credit consequences possible are realized, and the price is paid for years to come. Most renters want to avoid damaged credit, ruined rental history and collection, so we more commonly recommend that we locate a replacement renter to take over the occupancy of the home which allows the renter to depart on good terms. Below, I’ll outline how this works. When you want to move early and wish to do so in a way that follows the lease agreement and avoids negative consequences, all of the costs of your decision to terminate early must be absorbed and paid by you, not the property owner. This is a simple concept for most to understand. The owner of your rental has no obligation or desire to subsidize your moving costs by absorbing lost rent and other turnover expenses created by your early departure, so all of the financial consequences of your decision to leave early belong to you. 1) You must provide written notice of your intent to terminate early, including a move-out date. 2) Your written termination notice must include payment of the reletting fee. The reletting fee is typically 80% to 100% of one month’s rent. 3) You must continue paying rent each month on the first, until a replacement renter is found and starts paying. 4) You must continue your utility services after vacating, until a new renter moves in. 5) You must arrange for lawn service after you vacate, until a new renter moves in. 6) All other terms and conditions of your lease agreement must continue to be met. Once this is accomplished, you leave with a good rental history, receive your deposit refund, and have completed your lease agreement on good terms. You haven’t technically “broken” the lease, but instead satisfied the requirements of Early Termination. Q: Can I wait until you find a renter to provide notice? A: No. We won’t initiate any efforts to locate a replacement renter until/unless we have written notice to vacate with a move-out date. Understand that we don’t even have the legal right to promise the property to a new renter if we haven’t received written notice from you, so your status is either one of 100% staying, or 100% leaving. There is no “maybe” or in-between allowed. And we can’t market a property without a defined availability date for move-in. Q: I don’t want to pay the reletting fee. Do I really have to, or can I pay it later? A: You already agreed to pay it when you signed your lease. You are simply keeping an agreement you already made. It must be paid up front, as agreed in the lease. Q: If I know someone who wants to rent the house, can I refer them to you? A: Yes, of course. They must submit an application and qualify the same as any renter. You may not “market” the house though once we begin marketing efforts. You can tell your friends and co-workers about it and try to help find a renter, but you can’t, for example, put your own sign in the yard. Q: Why should I have to keep paying rent after I move out? A: That’s the agreement you made when signing the lease. Failure to pay rent will represent a default of the lease. Continuing to pay rent allows us to keep sending the owner the monthly proceeds and it keeps you in compliance with your lease agreement and in good standing. Q: How long will it take to find a new renter? A: We normally locate a new renter within 30 to 60 days, sometimes sooner. But it could also take longer depending on the time of year, market conditions, how well the house shows, and other variables. Q: What if I only have 2 months remaining on my lease? Can I avoid the Early Termination fees? A: Yes. If you have less than 3 months remaining on your lease, you’re probably better off finishing your lease or paying out your remaining rent in full rather than terminating early. When a renter pays the final month of a lease term and also notifies us in writing they will be departing by a date sooner than the last day of the lease, we will market the property as available on the earlier date. You will still have to maintain utilities and yard care per your lease agreement through the final day of the lease, but if a new renter is located and moves in prior to the end of your lease term, you’ll receive a rent rebate and will have successfully completed your lease term without having to pay a reletting fee. If you have more than 3 months remaining on your lease term, you’re probably better off paying the reletting fee though and letting us find a replacement renter. If you have questions, please don’t hesitate to give us a quick call so we can help you through this process!